TOP -> 2018/10/24 Good luck "Inoshishi"
Master of analog polygon using chisel. 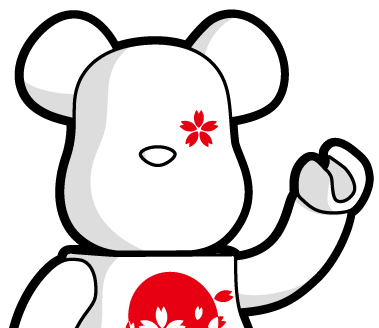 We interviewed Mr. Murabayashi who is in charge of Good luck "Inoshishi"
This time, I changed the style and increased the uncolored part, so you can feel the folk toy style in it. but moreover I would appreciate it if more people would feel the texture of wood and love this work. ――This Good luck "Inoshishi" has an impression like folk toys. Please let me know if you have a favorite folk toy. I like "Otakapopo", "Kijiguruma", "Akabeko" and "Iponasgitatara", etc. ――I think that a unique and distinctive character is the charm of this work. Do you have something inspired or particularly liked in your childhood? What I liked in my childhood were, like many other children, a special effects hero or robot animation especially Mazinger Z. ――I think that modeling with wood carving is like a work in subtraction. Is there any particular point of care about work? I would be very careful in the direction to insert the chisel. Especially yellow cedar is easy to split, special attention is required. ――Why do you care very much about wood carving? I started wood carving at the Ainu folk art shop, but it just happens by chance and I had no intention to make wood carving in particular. I also touched upon various materials and techniques, but I think that I just liked it spontaneously. Roughly sculpting and expressing is very natural style for me. ――Tell us about your plans and aspirations for the near future? I am thinking about developing my style of folk toys. Please stay tuned. essence of animal, human and various creatures. Carving every day one by one.